Servers will be provided, Dallas, Chicago, New Jersey. In case of a ping/server disagreement, a Chicago server will be used. 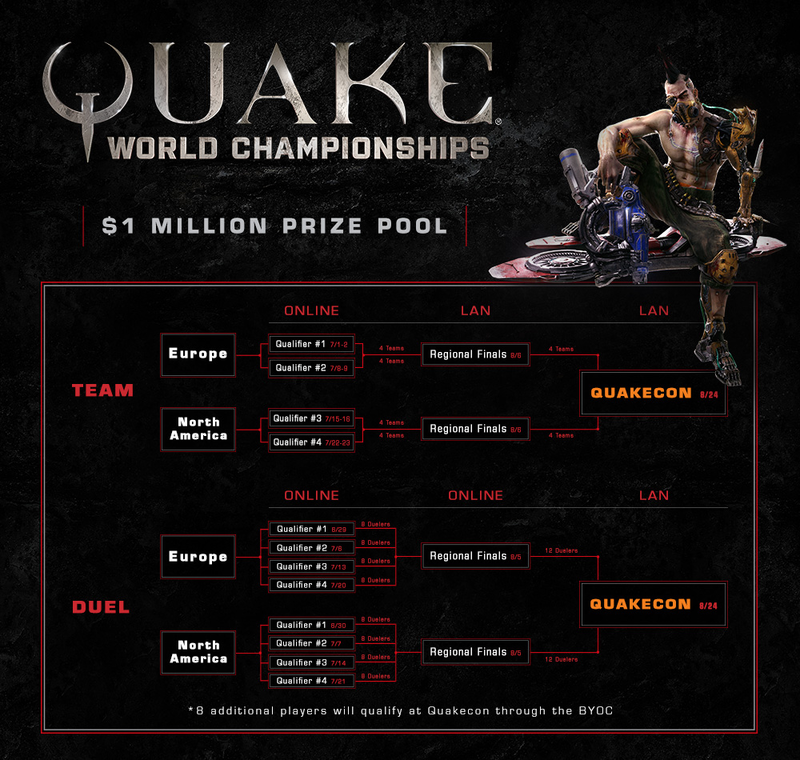 I am interested in playing but could you consider maybe moving the NA tournament to a date during which Quake Champions qualifiers will not be happening? yes please move it, ill join too!! I don't see any QC qualifier being held on the 16th for NA, could you confirm that there is one on that day ? I'm guessing you misread the date; I did too at first! It's not the 7th of July, it's the 16th of July, which is the Sunday after the first Sacrifice qualifier, on which there are no QC events. Would be great to see you both compete! are there going to be more changes to this in the future or is the ruleset final? Sorry for the late response, the first NA Sacrifice Qualifier is on the 15th AND 16th. I'll attach the official image for reference. The first EU Sacrifice Qualifiers was yesterday (7/1) and they finished it today (7/2). So yes, there will be some scheduling conflicts, I'm pretty sure most if not all the top NA Reflex players are playing in the Sacrifice qualifiers. A Youtube VOD should be available soon on Delementary's youtube channel.